Reformed Truths – Bringing strong Biblical insights to a needy world! 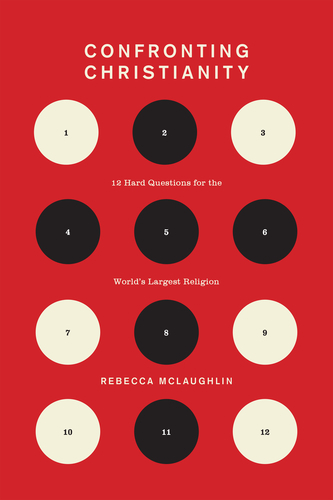 Confronting Christianity by Rebecca McLaughlin is a new book out by Crossway Publishing. McLaughlin poses twelve difficult questions for Christians to engage with regarding their faith, realities of that faith, how they are viewed by the culture and how it impacts their own lives. But what this book also does is turn the same questions around on the culture who likes to attack Christianity in these twelve areas. So what are the areas discussed? Atheism, Diversity, One True Religion, Morality, Violence, Literalness of the Scripture, Science, Women, Homosexuality, Slavery, Suffering, and Hell. McLaughlin tackles all of these issues head on without apology. The book is an easy read. McLaughlin uses stories from her own life and others to illustrate key points and brings science and Scripture to easy levels to understand. Her grasp of the culture wars that contend with Christianity are second to none. I highly recommend this book to be part of your library to strengthen your faith and to help equip you in the area of apologetics. I easily give it four out of five stars. I received a free copy of this book from Crossway Publishing in exchange for a fair review. 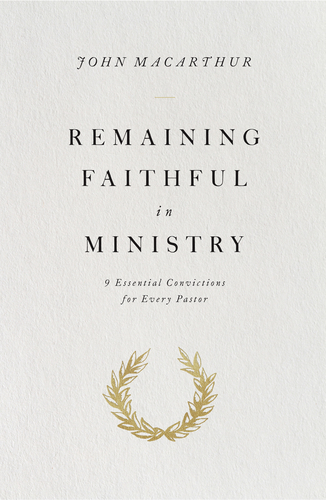 John MacArthur’s new book, Remaining Faithful in Ministry, is a convicting, challenging, and motivating read that every pastor or preacher should have in his library. MacArthur, who recently celebrated fifty years of ministry at Grace Community Church, writes on 2 Corinthians 4 and the faithful ministry of the Apostle Paul. In fact, the book reads almost as a biography of the Apostle. The book seeks to examine the life of Paul and how he was faithful in his ministry. It does this by looking at nine key areas (convictions) of his life and ministry. These are the superiority of the new covenant, ministry is a mercy, the need for a pure heart, the need to preach the Word faithfully, results belong to God, his own insignificance, the benefit of suffering, and the need for courage. Throughout each chapter, MacArthur examines the writings of Paul as well as accounts of his life from the book of Acts. Each shows a man who was deeply devoted to God and the Gospel of Jesus Christ after his conversion challenging each of us as believer’s to step up and do the same. The book is well-written and easy to understand. Overall, I recommend this book not only to pastors and preachers, but to every Christian. It is a short read that can be finished in one sitting of a couple of hours. It will challenge and convict you and stretch your faith for growth and maturity. I was given a free copy of this book by the publisher in exhange for a fair and honest review.